I’am not a single parent, and I don’t know how it feels to be one; but I do know it takes a very strong person to be a single parent. 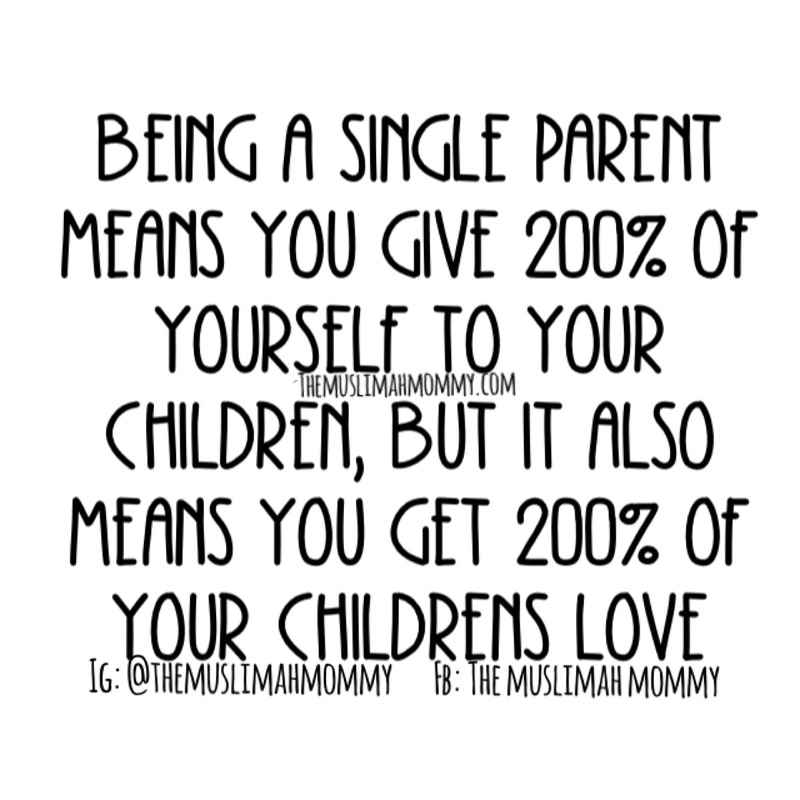 Single parents have to give 200% of their complete selves to their children, and in return they get 200% of their children’s love! If you are a single mom, you have to play the role of both mom and dad, and vice versa – hence giving 200% of yourself to your children. Likewise, your children have one person to give all their love to – hence, they give 200% of their love to you! I love this post so much. I’m the one of them. I can feel it, I do know how to be a single parent. Insha’Allah I’ll give all my love for my boy. Thank for sharing it, my dearest sis.